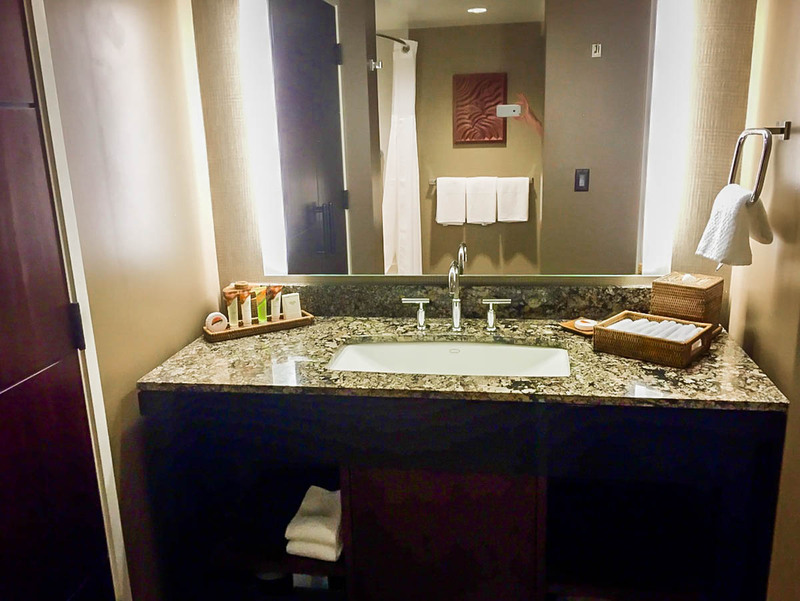 The Ali'i Tower is The Hilton Hawaiian Village Best Tower, And Here's Why! 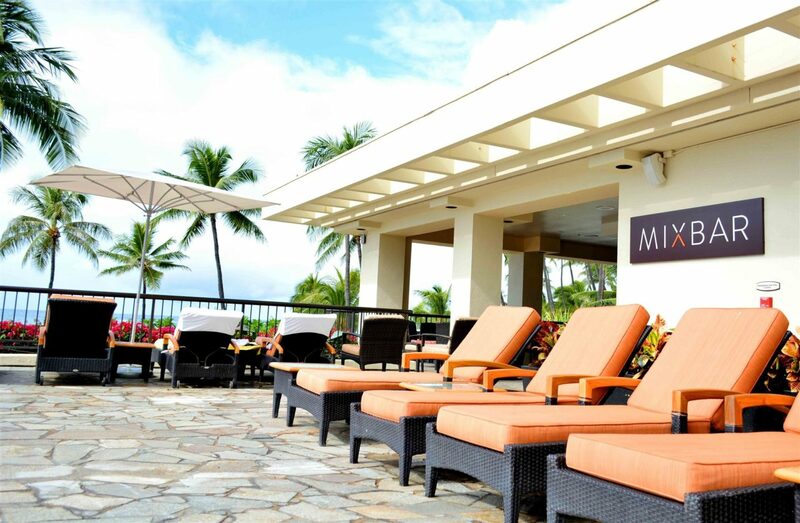 The Ali’i Tower is The Hilton Hawaiian Village Best Tower, And Here’s Why! This post ” Hilton Hawaiian Village Best Tower ” is in collaboration with Stryker Weiner & Yokota Public Relations on behalf of the Oahu Visitors Center and The Hilton Hawaiin Village. All opinions expressed are my own. As if getting to go to Hawaii isn’t already a dream come true, our stay at the Hilton Hawaiian Village Waikiki was absolute paradise! Our stay was from November 9th through 12th in the Hilton Hawaiian Village best tower. 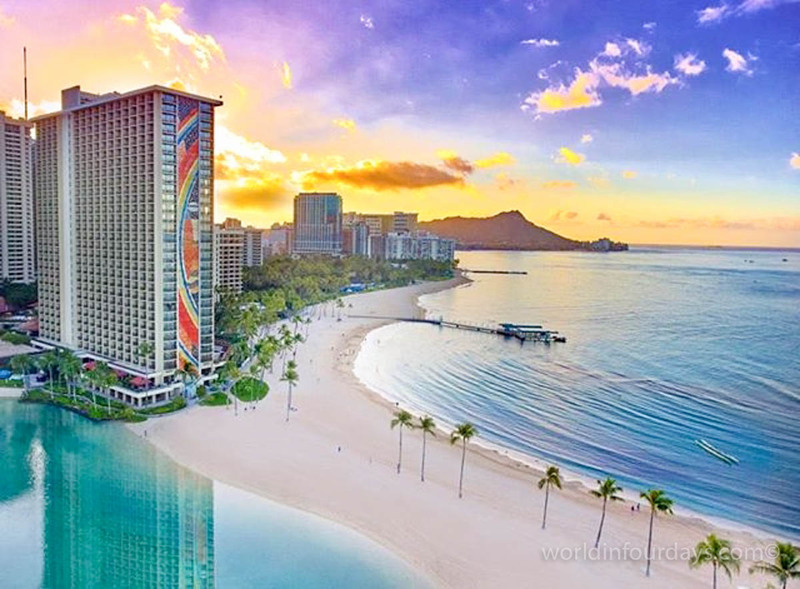 While the entire hotel is absolutely incredible, the Ali’i Tower is an absolute indulgence and a total must-do for your stay at the Hilton Hawaiian Village Waikiki. Here’s Why The Best Hilton Hawaiian Village Tower Is The Ali’i Tower? Yes it is! And here’s why. Reese and I stayed in an Ocean Front Room in the Ali’i Tower and it was spectacular. Modern yet comfortable and totally luxurious, we could see the Pacific Ocean at every turn. As if the view wasn’t amazing enough, the Ali’i Tower offers guests a little something extra that adds to that pampered and indulged feeling during your trip without feeling overcomplicated. The vibe was relaxed yet we never felt like we were missing anything. It’s as if our needs were already anticipated before we even arrived. And that’s not all. A private gym, free Wi-Fi and printing capabilities, PlayStations in every room, free game and DVD rentals, and your own Keurig with a selection of coffee and tea are some of the other benefits of staying in the Ali’i Tower. The Ocean Front Room also gives you a private balcony which was a wonderful place to sit and sip my coffee. Reese and I also found the bidet in our bathroom to be beyond cool. It was all these marvelously opulent touches presented in such a laidback way that made us want to stay forever. As if all that wasn’t enough to delight Reese and me during our stay, the entire hotel was my vision of what paradise should be. While we had access to the private pool for Ali’i Tower guests only, we also enjoyed visiting the 5 other pools. The Paradise Pool has waterslides including the longest one in Waikiki, and waterfalls and I don’t think Reese looked happier than when she was splashing around there. Direct beach access made it easy for us to walk down to the shore and discover a variety of classes to take like surfing, paddleboarding, yoga, and lei making. Don’t even get me started on the shopping and dining there either! We never even needed to leave! Everything we could ever want was there…even Starbucks! 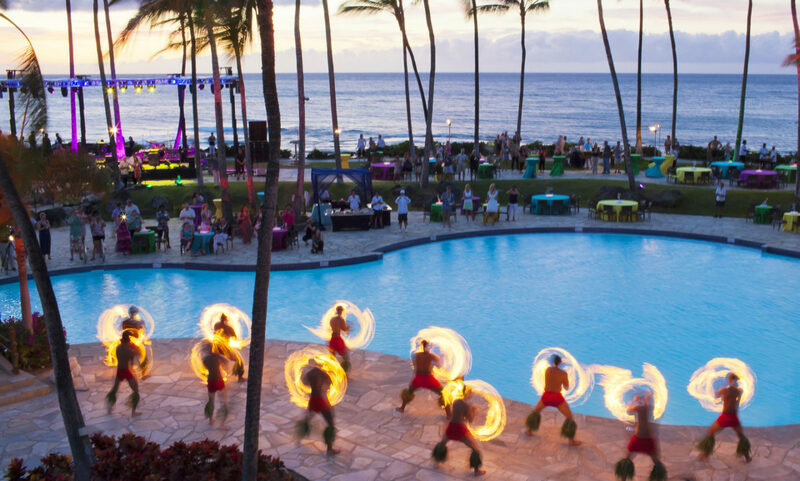 One of the things you shouldn’t miss while you’re staying at the Hilton Hawaiian Village Waikiki is the Waikiki Starlight Luau. You don’t need to be a hotel guest to get tickets, but I know those people from the other hotels were SO jealous of us. We had the best hotel on the island, hands down! This luau is the only outdoor one in Waikiki and we loved the taste of Hawaiian culture, both figuratively and literally! The hula dancing, the fire dancers, and the incredible traditional Hawaiian foods were absolutely amazing under the starry sky! 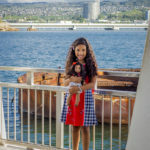 Reese is definitely mature beyond her years but I really appreciated that the Hilton Hawaiian Village Waikiki took extra steps to keep kids busy. 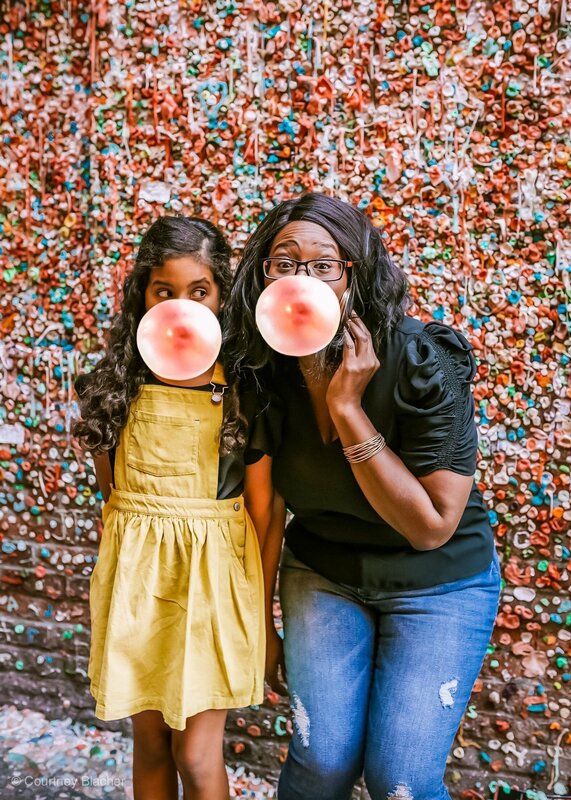 There’s a camp you can enroll your kids in from the ages of 5 to 12 that will give you plenty of space to do the grown-up things you want to do. But even if you don’t want to do that, there are other activities on-site that the whole family can do. We did the hula and there were ukulele lessons as well. Live music and a daily torch lighting at 6 pm were among other things our family could enjoy together. 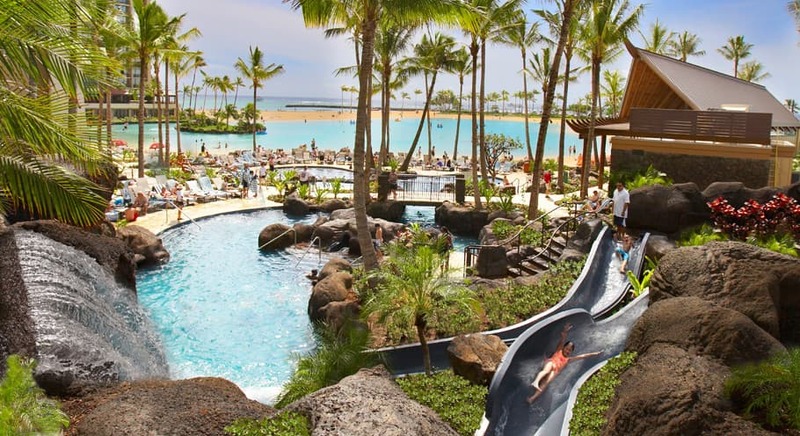 As I said, it was hard to even get Reese out of the Paradise Pool at times too, so the swimming and slides will definitely keep your kids happy and busy all vacation long. 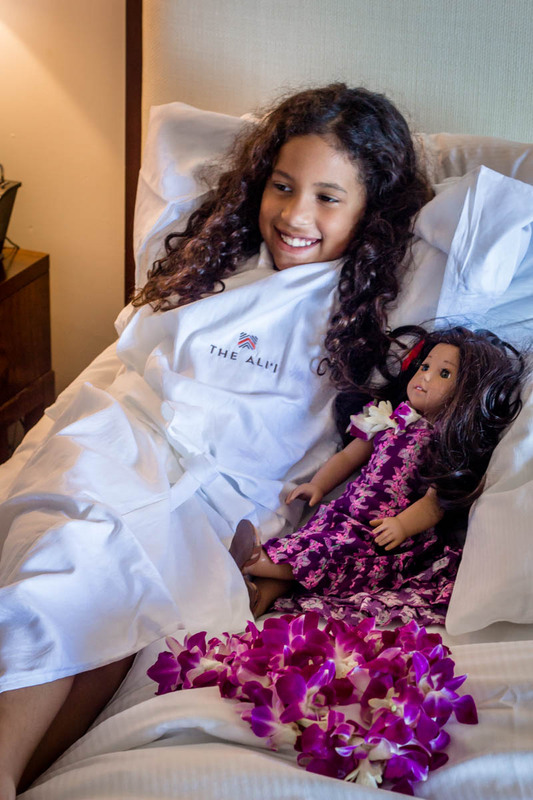 The Hilton Hawaiian Village Waikiki also has kid-friendly movie nights every Wednesday and Saturday under the stars, making it a great place to cozy up and relax. 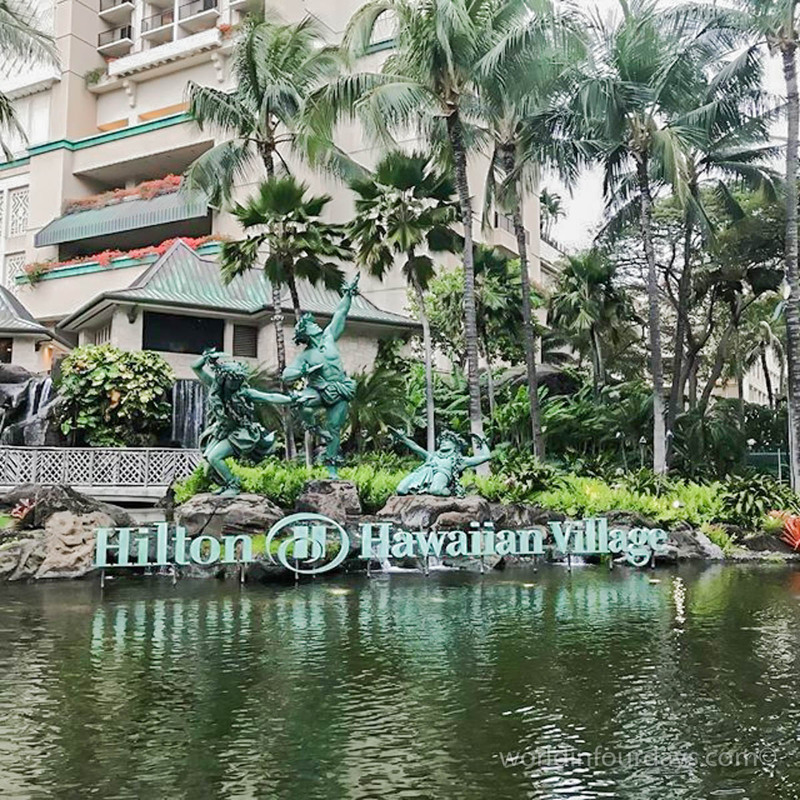 Our entire experience at the Hilton Hawaiian Village best tower was beyond our every expectation. From the friendly and helpful staff to the immaculate grounds and rooms, and everything in between, we felt sad when we had to check out and head back home. 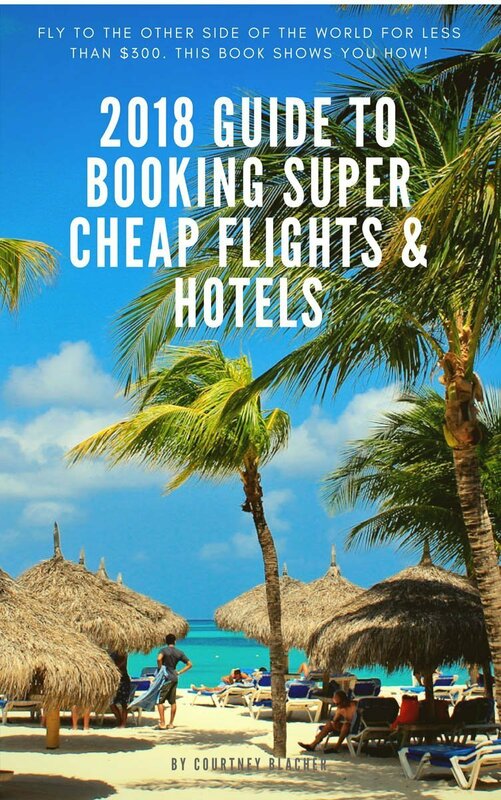 But it gives us an incentive to plan to come back again. Which we totally will. I hope when we do we’ll see you there!